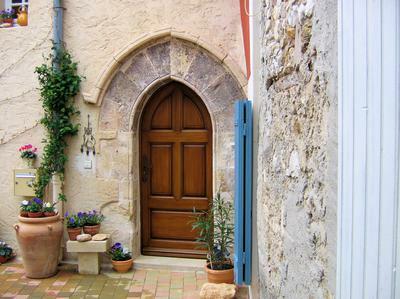 In the heart of the Cote du Rhone - Completely renovated, a delightful melange of modern amenities, convenience and traditional Provencal character. Light, airy and comfortable, the decor of Maison des Pelerins uses beautiful local materials together with the craftsmanship of local artisans, creating the warmth and ambiance of a traditionally Provencal home. Wood-shuttered windows look out over the rooftops of Sablet Village, across the vineyards, to the Dentelles de Montmirail and the neighboring villages of the Cote du Rhone wine producing region. 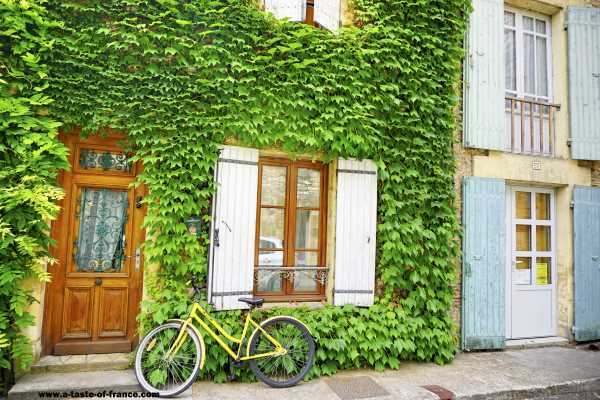 Spectacular views from every window, a charming, private courtyard, comfortable spacious rooms, central heating, a cozy wood burning stove, and air-conditioned bedrooms make Maison des Pèlerins very inviting all year round.